Ramneek Gupta is the Managing Director of Citi Ventures. His focus is primarily on identifying opportunities and investment themes in an increasingly connected world and partnering with leading entrepreneurs as they change the way we interact, consume, purchase and otherwise engage with people, content and businesses around us. 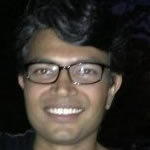 Ramneek brings over a decade of investing and startup experience to the Citi Ventures team. Prior to joining Citi, he was a Partner at Battery Ventures where he helped develop the Online to Offline (O2O) Commerce theme and worked closely with portfolio companies including Groupon. While at Battery, Ramneek also led the India investment efforts for the firm and helped build out an investment team and portfolio in India. He started his professional career as a design engineer at PMC Sierra and also worked on the hardware design team at TiVo. Ramneek has an MS in Mechanical Engineering from Stanford University and a B-Tech in Mechanical Engineering from Indian Institute of Technology (IIT) Bombay where he graduated at the top of his class. Hi sir ,I am a sales and marketing mgr with a background in sales,I have developed an idea for a social website and app that will work for sales and marketing personel who can interact and communicate in a community and sell products and services for different companies Around the world. Please contact me at (954)404 0645 or [email protected] thanks Saleem .